One was expected to be here; one wasn't, but the WCHL Cup is being contested for by two original six combatants. 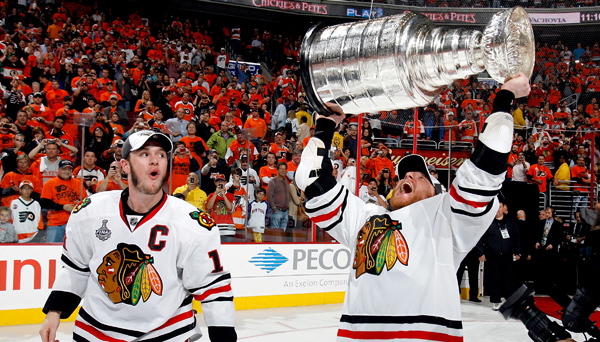 Could this be the third title run for the Rangers or are the Hawks primed to put their name on the cup? 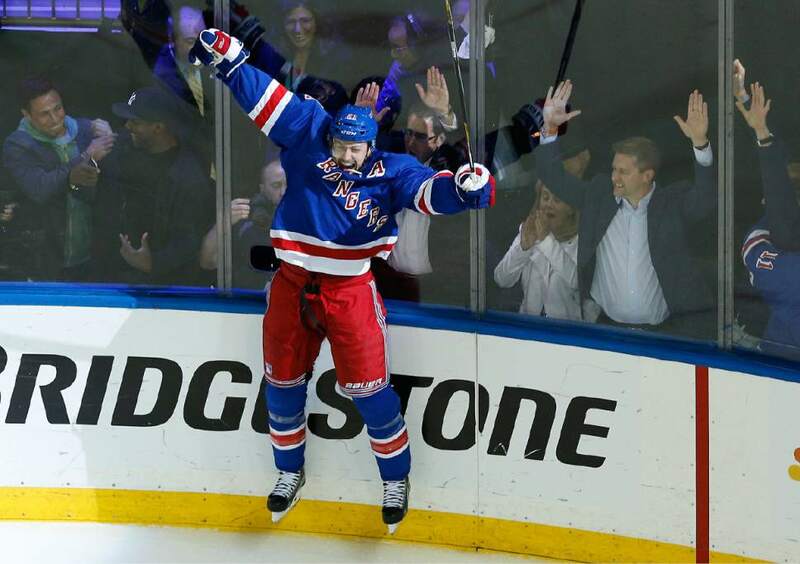 The Rangers have been one of the best teams in the league over the past 10 seasons and the hope is to see at least one more title run with a core that is starting to show its age. Chicago meanwhile is looking to duplicate the feat of another original six club -Detroit- by going on a seemingly improbable run into not just the playoffs but also a cup title. Detroit's run was last year and Chicago hoping the magic of that push is still lingering in the air. 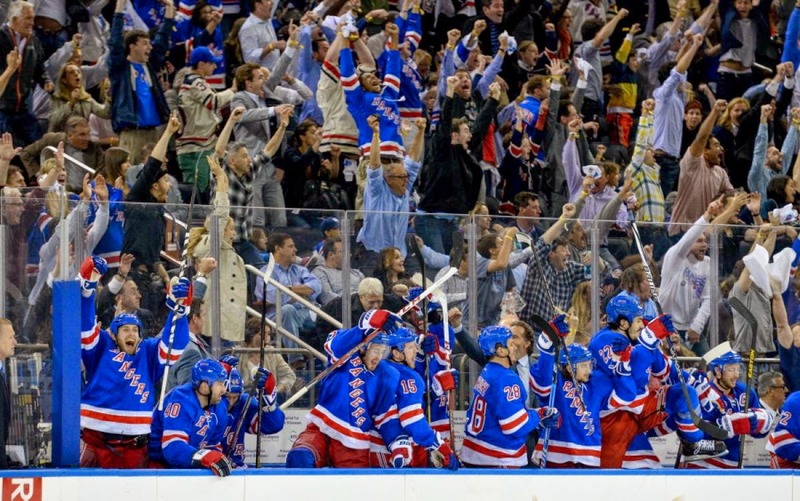 New York Rangers vs. Chicago Blackhawks - The Rangers on paper seem to have this one in the bag. They have Henrik Lundqvist, Chicago has Jaroslav Halak. New York has Anze Kopitar, Chicago has Joel Ward. 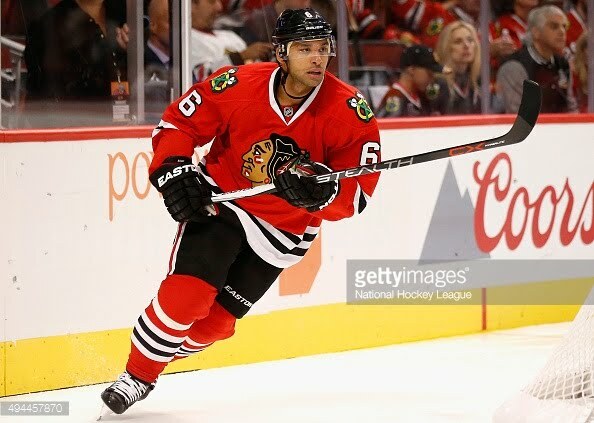 The Rangers have Alex Pieterangelo, Chicago has Dennis Wideman. There is a clear gap in talent. But this game isn't played on paper and Chicago is able to translate that talent into results. They are 12-5 with one of those loses being in overtime. Ward? He's managed 22 points in 17 games. Wideman? 21 in 17. Halak? Only a .930 save percentage. Every season there is one team that seems to capture lightning in a bottle and this years seems to be the Hawks. They are one of only two clubs to average three goals per game these playoffs and their powerplay is one of only two to exceed a 30 per cent success rate. They've overcame flaws and found ways to win and now they are just four more wins away from a title. 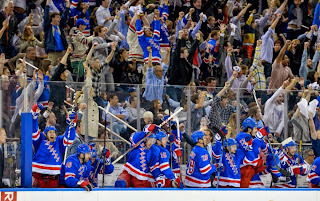 The Rangers have been here multiple times and are making their fifth WCHL Cup finals berth in team history. They club is once again on top of the pile and have been dominate these playoffs. They have a playoffs best 1.76 goals against average and they have an impossible 160 per cent goals for/against ratio, an arms length ahead of the rest of the pack. The club also has the third best special teams these playoffs. All of this has translated into a 12-5 record but it could have been noticeably better if not for a 1-3 overtime record. Prediction: Chicago's dream ride may be over but they will give the Rangers a few more bumps in the road to a Cup title. New York in six games. From 30 hopefuls to four with a shot, the 21st edition of the WCHL sees four teams trying to claim a WCHL crown. Of those four only one, the New York Rangers, have ever done so, and they are now trying to be the third team in league history with three titles, joining the San Jose Sharks and Anaheim Ducks. San Jose leads all teams with four league titles. For the remaining three teams -Chicago, Nashville and Buffalo- it's a chance to win the first title ever in team history and a chance to follow in the footsteps of last years improbable run by the Detroit Red Wings. 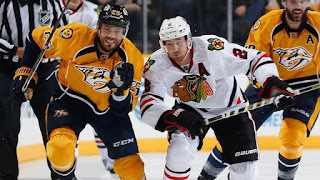 (3) Nashville Predators vs. (7) Chicago Blackhawks - The Predators have been able to make the most of some moxy, knocking off the regular season Western Conference champion St. Louis blues in the second round. Now Nashville finds themselves as the favorites, taking on the seventh seeded Blackhawks. The Predators are one of only three teams these playoffs to average three goals per game offensively and that should bode well for them, but they are also only one of three teams allow three goals per game against as well. The other two teams are already eliminated from the post-season and if Nashville doesn't tight up their defense they could join them. Chicago on the other hand is the lone team still in the playoffs that failed to pick up 100 points in the regular season and the only team to never have home ice advantage in the playoffs. That hasn't stopped them before however and they are 5-2 on the road this post-season. The league's second best powerplay helps but the club stay in games. Prediction: Nashville will prevail but it won't be easy. Predators in seven. (2) New York Rangers vs. (6) Buffalo Sabres - The Rangers are the lone veteran presence in the final four, and their two WCHL Cup rings still adorn the hands of many players in the locker room. The core of this squad has been together for several years and look to be staying together for at least as long as Henrik Lundqvist is together. The core is still going strong, leading the playoffs with a 3.27 goals per game average and sit second best with a 1.73 goals against average. Of note, Buffalo is the lone team with a goals against average lower than the Rangers, clocking in at 1.67. They aren't exactly a slouch offensively either, operating a powerplay that sits best in the post-season by a fair amount, scoring at an astounding 40 per cent clip. Buffalo's combined special teams is the league's best through two rounds of playoff games and Buffalo also poses the best shot for and against ratio in the game. 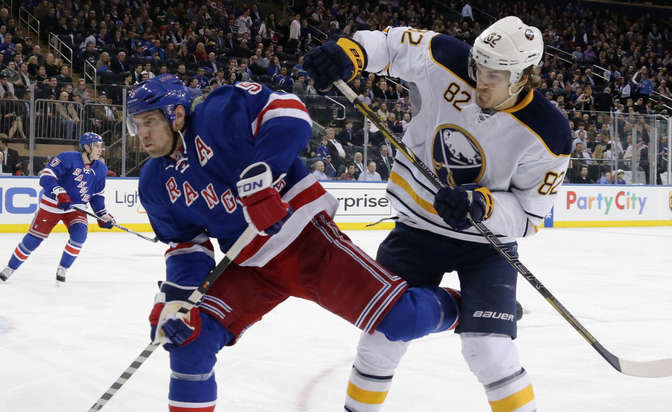 Prediction: Buffalo is clicking right now and could be the biggest threat to the Rangers. Buffalo in seven games. (2) Hartford Wolfpack vs. (3) Hershey Bears - Hershey in seven games. (1) Grand Rapids Griffins vs. (2) Texas Stars - Grand Rapids in six games. After being pushed to the brink in round one, both the St. Louis Blues and the tampa Bay have survived to live another day. The pair of conference leaders were left shaken but not eliminated after a hard fight to advance. Will it prove to be the issue that strengths them enough to make a cup run or are they cracking under the pressure? In total, half of the eight opening rounds went the distance, indicative of a league that has made big strides in terms of parity. Expect more of the same in round two. (1) St. Louis Blues vs. (3) Nashville Predators - The Blues battled back against the Colorado Avalanche to make it into the second round but it wasn't that they played poorly. They were one of six teams to allow two goals or fewer so far these playoffs and if they can continue that while getting better offensive production the Blues will be on to round three. Playing defense against the Predators though could be tough. The Preds rattled off 3.14 goals per game in round one and had the leagues best powerplay so far in the post-season at 33.33 per cent. If the Preds offense continues to fire like they have been it'll be a quick series. Prediction: Colorado proved to be enough of a kick in the pants for the Blues. Expect them to rebound. St. Louis in six games. (4) Edmonton Oilers vs. (7) Chicago Blackhawks – No scored more than Edmonton in round one. With 3.17 goals per games, the Oilers were impossible to contain for the Los Angeles Kings and now the task falls to the Blackhawks. Expect the offense to continue to round two. Chicago did however have a 1.80 goals against average in round one, good for third in the league. That was against the Arizona Coyotes and now they face a different task in shutting down the Oilers. The key to this series could very well be netminder Jaroslav Halak and his .935 save percentage. Prediction: If Halak can shutdown Edmonton, the Hawks will win. But he won't. Edmonton is five. (1) Tampa Bay Lightning vs. (6) Buffalo Sabres – What a ride. After roasting the rest of the league in the regular season the Lightning were almost toast in the opening round against the Penguins. But the Lightning rallied from a 3-1 deficit, outscoring the Pens 10-2 in the process and now look like they have hit their stride. They will be a tough team to beat if they roll that momentum over into round two. Buffalo meanwhile turned a battle of the brothers in round one into a bit of a laugher, outscoring Boston 14-10 and outside of a shutout in game three their offense was clicking. 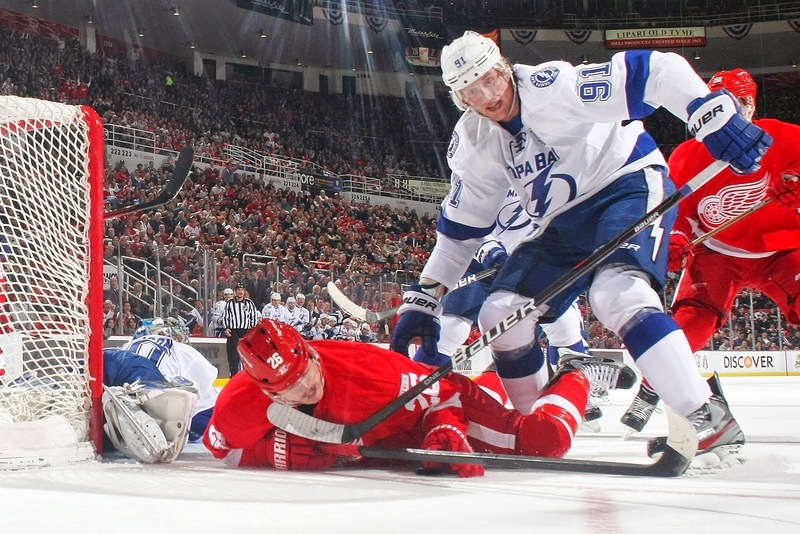 It'll be a challenge doing so against Tampa Bay, who held the offensively gifted Penguins to 10 goals in seven games. If Buffalo can't fair better they won't last long. Prediction: Buffalo won't make it easy but the Lightning is flashing bright lately. Tampa Bay in five games. (2) New York Rangers vs. (4) New Jersey Devils – One team doesn't have a GM and the other has one of the most storied-GMs in the league. Yet these two teams are meeting in a cross-state battle. The Rangers will aim to ride the second best playoffs goals against average and the best goals for/against ratio to yet another appearance in the playoffs. The Devils on the other hand are no easy pushover. Despite having no one at the helm, the Devils look to take the best penalty killing left in the post-season and fend off a Rangers offense which is below average for the teams remaining in the playoffs. Prediction: hard to vote against the Rangers who have been one of the best playoff teams in league history. Rangers in five games. (2) Hartford Wolfpack vs. (8) Worchester Sharks – Hartford in six. (3) Hershey Bears vs. (5) Portland Pirates - Hershey in six. (1) Grand Rapids Griffins vs. (6) Adirondack Flames – Adirondack in six. (2) Texas Stars vs.(5) San Antonio Rampage - San Antonio in six. In a season which seen some powerful teams on paper struggle on the ice the playoff matchups in the WCHL may appear somewhat unbalanced but it also represents a chance for redemption. For some teams who underachieved but made it, the playoffs represents a chance to truly strut their stuff and show the regular season was a misnomer. 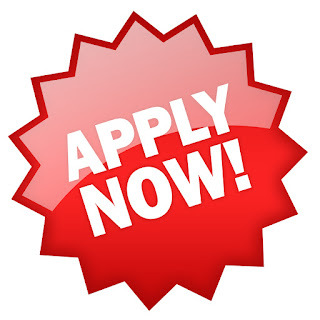 For others however the playoffs poses a chance to get someplace they never have before. While the WCHL is 21 seasons old there has only been 12 different teams to actually claim a WCHL Cup, meaning the majority of the league -and the majority of the teams to make the playoffs- have yet to add a piece of hardware to their trophy cabinets. (1) St. Louis Blues vs. (8) Colorado Avalanche - The Blues have shocked most everyone to sit atop the Western Conference and second in the league with 112 points. St. Louis finished second in the league in goals for and fifth in goals against, and had a goals for/against differential of +51. The Blues can bring it at both ends of the ice. Prediction: St. Louis has just been to consistent for to long. Blues in seven games. (2) Arizona Coyotes vs. (7) Chicago Blackhawks - How does a team finish in the bottom 10 in the league in both shots against and shots for yet still manage a 100 point season? Finishing in the top 10 on both the powerplay and penalty kill is one way and that's what the Coyotes did. They might be beatable five-on-five but they are deadly otherwise. For Chicago, they may be five seeds lower than Arizona but they only finished the season with three fewer points and one fewer wins, so they definitely can hang with the Coyotes. In a rarely seen stat however the Hawks were the team that had the most shots for and the most shots against. That will likely see the Hawks sink instead of swim at some point. Prediction: Chicago could win this but they are just to inconsistent to do so. Arizona in six games. (3) Nashville Predators vs. (6) Dallas Stars- The Predators may have home ice in this series but both the Preds and the Stars finished the season with 103 points, effectively making this series a coin flip. Nashville had a slightly better goals for/against differential but they also were third in goals for and second on the powerplay. They can bring it offensively. Dallas may not be able to outscore the Preds but Dallas could have the ability to shut them down. Dallas typically controls the flow of play and are among the league leaders in shots for and against. If Zach Parise can keep up his scoring ways and get some help from the secondary options, Dallas can prevail. Prediction: Despite the closeness in the standings this series likely won't be close at all. Predators in five games. (4) Edmonton Oilers vs. (5) Los Angeles Kings - The Oilers are coming off strong seasons the past couple of seasons and have forged a solid path as a darkhorse contender. They are again in that seat and will try to make another run at a cup but finishing in the bottom half of the league in goals for and against and possessing the 28th ranked penalty kill isn't the ideal route. The Kings were the only team in the West to finish with a losing record in regulation time and yet still make the playoffs. Finishing in the bottom third of the league in goals for, goals against and penalty killing is why. The Kings figure to be lucky to even be in the playoffs. Prediction: The Oilers may just be the least worst of these two. The Oilers in six games. (1) Tampa Bay Lightning vs. (8) Pittsburgh Penguins - The roles in this series should be flipped based on how each team looks on paper. The Penguins are equipped with a lot of firepower yet have yet it put it all together, something the Lightning have done in spades this season. Tampa Bay not only had a league best 56 wins and 120 points, they topped the charts in goals scored and in powerplay proficiency, while also allowing the second fewest goals per game and taking the least number of penalties. This team has been firing on all cylinders this season. Pittsburgh finished right behind the Lightning in goals against giving up just five more goals than the Lightning but offensively the Penguins slumped. Despite being led by Sidney Crosby, Pittsburgh tumbled to 19th in goals per game while Jonathan Tavares posted just 50 points and Jeff Carter had just 29 despite playing over 20 minutes per game. If those offensive guns can start firing the Penguins could pull off an upset. Prediction: Don't expect Pittsburgh to suddenly get it. Tampa Bay in six games. (2) New York Rangers vs (7) Detroit Red Wings - The Rangers are trying to get back to the top of the mountain and they will have to go through the defending cup champion to do so. For New York it's simple; keep doing what you have been doing all season long. The Rangers finished the season as the only team in the league to give up less than two goals per game and have a penalty kill kill rate of over 85 per cent. Detroit is simply the team that does what it shouldn't. Last season they went from being dead last to winning it all and while this year can't be more dramatic the Red Wings also want to prove it wasn't a fluke either. The Wings rank fourth in goals against average and on the penalty kill so they have the defensive talents to keep up with the Rangers. 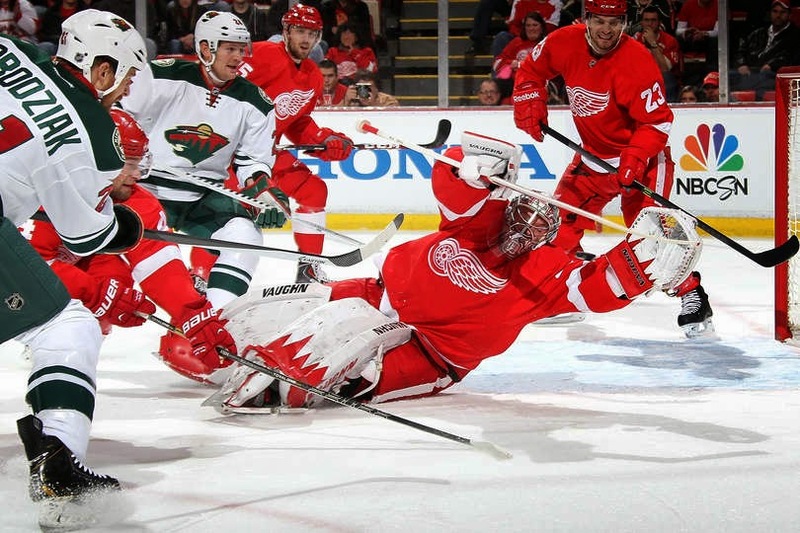 Prediction: It's hard to bet against the Red Wings but the run has to end eventually. New York Rangers in seven games. (3) Boston Bruins vs. (6) Buffalo Sabres - Not only is this a classic Adams Division show down that played out every year in the old NHL, this is also a battle of brothers as the Khera clan bragging rights are on the line. Boston held the upper hand in the regular season, albeit barely, and hope to capitalize on their balanced attack to do so. Buffalo meanwhile is actually only finished one point behind the Bruins in the regular season and have some strengths to lean on in their effort to claim those bragging rights. Those include the conferences best faceoff percentage and top five rankings in both special teams situations. Prediction: This will be close but Buffalo is doing the little things right. Buffalo in six games. (4) New Jersey Devils vs. (5) Philadelphia Flyers- The Flyers didn't have a GM for most of the season and New Jersey is currently without one at all so it may be surprising these two teams are even in the post-season. But here they are and one will see the second round. Only one point separate these two teams and the edge went to New Jersey who rode a fourth ranked powerplay to a 101 point season. The Flyers hope to see their first successful post-season run in their first playoff since the departure of original GM Doug Van Strepen. They'll be in tough against the Devils and have to look to find a way to take a squad which was middle of the pack in the regular season and put them on top of the heap in the post-season. Prediction: New Jersey moves on in this one. Devils in six games. (1) Wilkes-Barre/Scranton Penguins vs. (8) Worchester Sharks - Wilkes/Barre-Scranton in five games. (2) Hartford Wolfpack vs. (7) Manchester Monarchs - Hartford in six games. (3) Hershey Bears vs. (6) Norfolk Admirals - Hershey in five games. (4) Syracuse Crunch vs. (5) Portland Pirates - Portland in five games. (1) Grand Rapids Griffins vs. (8) Lake Erie Monsters - Lake Erie in seven games. (2) Texas Stars vs. (7) Chicago Wolves - Texas in six games. (3) Olkahoma City Barons vs. Adirondack Flames - Adirondack in six games. (4) Toronto Marlies vs. (5) San Antonio Rampage - Toronto in seven games. After 20 seasons the Philadelphia Flyers enter foreign territory as General Manager Doug Van Strepen has stepped down. A career that dates back to the inaugural season of what has now becoming one of the longest running simulation hockey leagues in history, Van Strepen managed the Flyers through approximately 1,800 games when playoffs are factored in. Counting pre-season games, that number tops a staggering 2,000 matches, easily Hall of Fame level numbers. While Van Strepen didn't quite reach the pinnacle of success all GM's strive for -a WCHL Cup title- his squads had several lengthy playoff runs, making the conference finals on more than a few occasions. The WCHL is hopefully to fill the vacancy sooner rather than later with the season still young, however the successful applicant will clearly have big shoes to fill. Thanks Doug for your contributions. The league wouldn't have been what it was -and what it is- without you. A tip of the cap to you from us all at the WCHL. Going from worst to first is rarely heard of in sports and when it is it is often of a team going from worst to first in their division. Maybe even their conference. But going from dead last in the league standings one season to winning the ultimate prize the next? Well that is unheard of. But that is exactly what the Detroit Red Wings are on the verge of doing. They stand just four wins away from hoisting the WCHL Cup, defying the odds at every step. Not expected to even make the playoffs, the Wings have found a way to not just do that but also overtake the Boston Bruins, New York Islanders and Columbus Blue Jackets along the way. 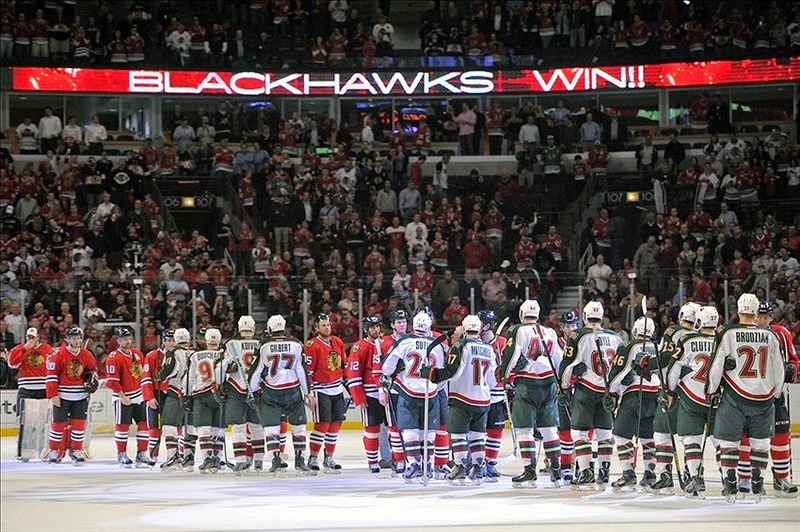 Now only the Minnesota WIld stand in their way. 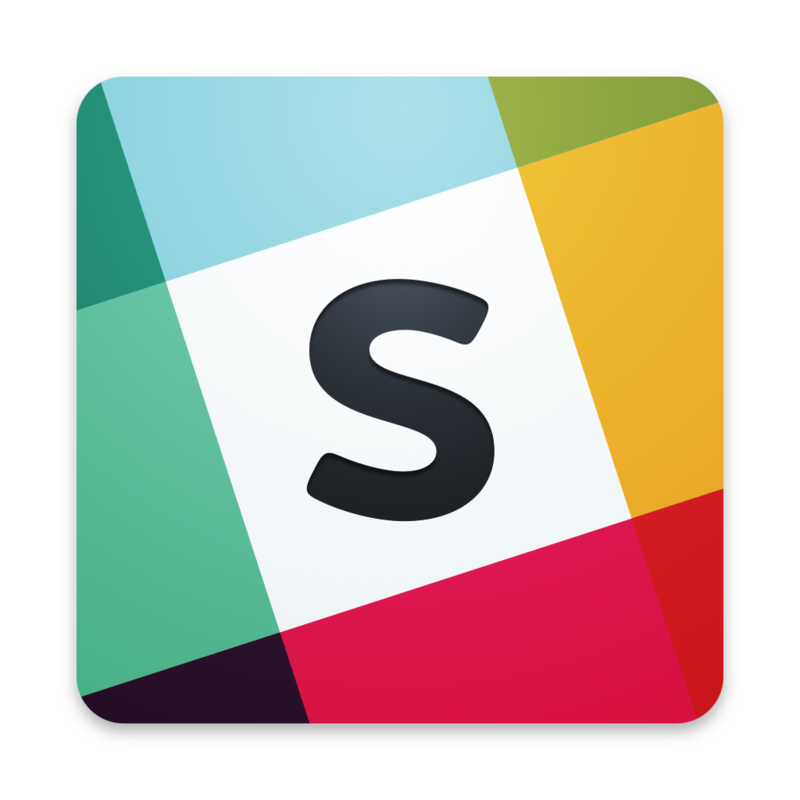 The Wild though could be a big challenge though, as they are also working on a run of their own. Also a post-season outcast last year, Minnesota has gone 12-4 this post-season, including a sweep of the Arizona Coyotes in the Western Conference finals. The Wild are riding a seven game winning streak entering the finals. It should be a remarkable final for a pair of remarkable teams who are on remarkable runs. 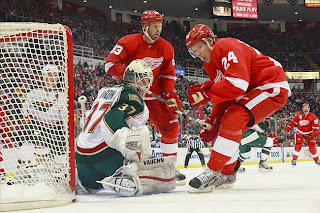 Detroit Red Wings vs. Minnesota Wild - The Wings have been paced by a win by committee model, with six players posting at least a dozen points and only five regulars have yet to score a goal these playoffs. Even the goaltenders have got into the act, splitting duties almost right down the middle, with Karri Ramo getting a slight edge in minutes and games over Michael Neuvirth. Detroit ranks third in goals for and fifth in goals against this post-season, second in shots, third fewest in penalty minutes and second in face off percentage. They have their strengths for sure. But there is also some weaknesses, especially on special teams where they were 12th out of 16 playoffs teams on the powerplay and just 14th on the penalty kill. 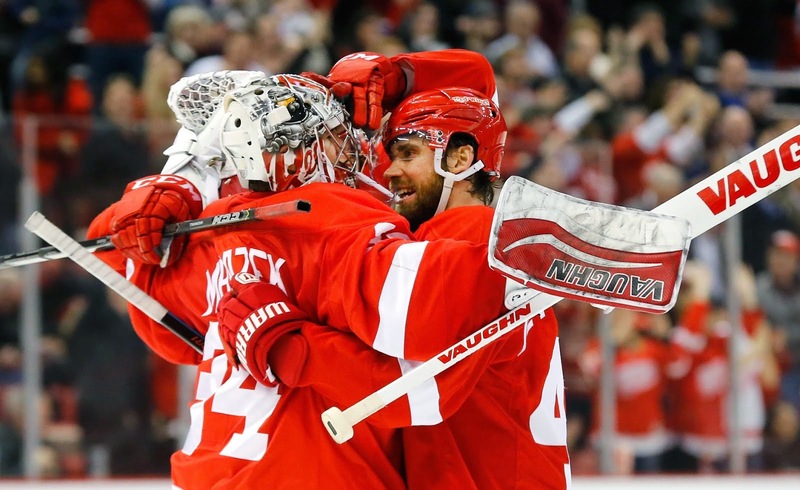 If it comes down to the special teams, the Wings could be cooked. Minnesota meanwhile is a bit more top heavy offensively, with 10 regulars having yet to punch home a goal in the playoffs. Six players however do have at least five goals so far, and Antti Niemi has shaken the stigma of being a post-season choker, losing only two games in regulation time. 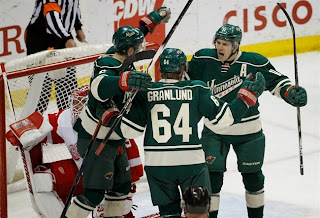 The Wild also are the top scoring team in the playoffs while allowing the fewest goals against per game. Part of that strong defense is a penalty kill which ranks second at just under 86 per cent effectiveness. Minnesota also allows the fewest shots per game and takes the third most shots while also being top five in both hits per game and faceoff percentage. The Wild even take the fourth fewest penalty minutes per game. 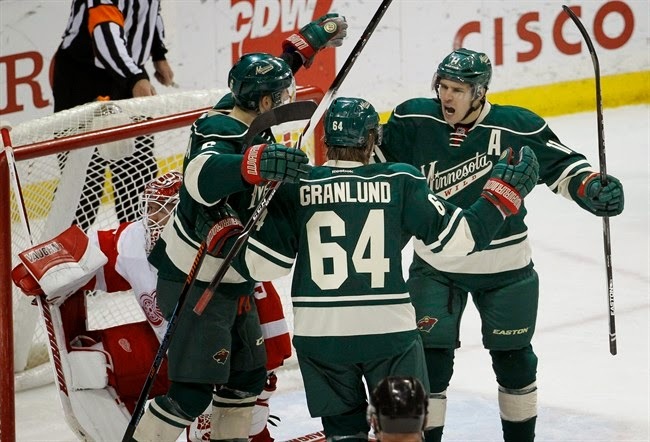 Statistically, the Wild are the most dominant team this post season. The Wings run has been strong, and they won't go easily in the final either, but the Wild are just to hot to handle at this point. Minnesota in six games. Here we are with two rounds in the books and looking at the final four. But who is in round three is definitely the most eye-opening part of the playoffs. In the West, Arizona and Minnesota do battle. Neither team came in looking like cup contenders but at least one of them will be cup finals in a few weeks. 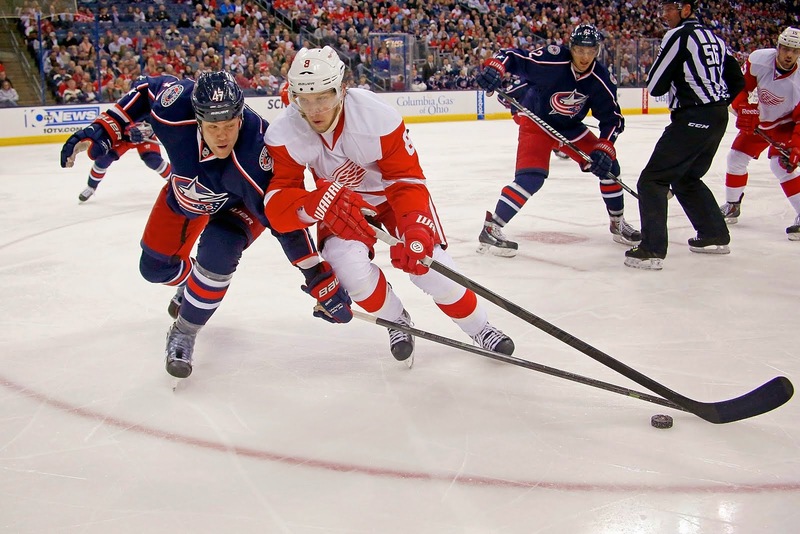 The East is no different, where Columbus and Detroit tangle. Detroit was the worst team in the league last year, but now they stand a 25 per chance of being the best this year. Who is the most Cinderella team of all might be the answer to who will win it all. Either way, there a good chance there will be a first time WCHL Cup champion this year. Arizona Coyotes vs Minnesota Wild- The two worst playoff teams in the conference during the regular season, the Coyotes and Wild have knocked off better teams twice already to get to this point. This will be the first series the Wild won't be the underdog, having bested Arizona by five points in the regular season. The Wild will be led by Tomas Vanek and Tyler Bozak, who have each contributed 13 points thus far, pacing the Wild attack. Twelve different players have scored goals so far, as the team has thus far paced out the offense. Antti Niemi meanwhile has been solid in net, posting a .924 save percentage. Arizona meanwhile is riding on the coattails of stars Radim Vrbata and Marian Gaborik, who have combined for 14 goals and 32 points in 11 games so far. 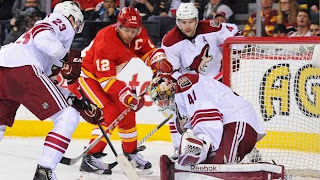 Perhaps even more startling, after struggling through a seven game win in round one, the Coyotes steamrolled the Calgary Flames in four straight in round two. It's hard to see who will be the ultimate Cinderella but if it's all about upsets then go with the upset. Arizona in seven games. Columbus Blue Jackets vs Detroit Red Wings- Things are a little bit better in the East, where the 3rd and 7th seeded teams are left. One of these clubs actually can say they should be here at this stage, though even in the case of Columbus they had to knock off the powerhouse New York Rangers in round two to do it. Columbus did just that though, winning in six games over the Rangers. Jason Spezza, Chris Kunitz and Brent Seabrook have been nearly unstoppable, posting over one-third of the teams offense. Detroit has scored 35 goals so far this post-season, nearly three goals per game. Detroit meanwhile has been paced by rookie Rikard Rakell, who has seven tallies already these playoffs. They are likely the first team in years to have a goaltending controversy in the third round of the playoffs. Karri Ramo has had the most games and posted a fine .915 save percentage, by Michael Neuvirth has appeared in six games with a staggering .940 save percentage. Best part though? Detroit was the league's worst club last year. Now they are eight wins from being the best. Expect the worst to first charge to continue. Detroit in five games. After a season which seen long time playoff regulars miss the post-season, the first round ensured the upsets continued. Anaheim, the Presidents Trophy winner, failed to reach round two but what may be more shocking is the Edmonton Oilers and Ottawa Senators -the two teams to reach the WCHL Cup final last year- were both knocked off. There are a few elite squads left, namely the New York Rangers and Calgary Flames, but for the most part it looks like it will be a new king of the hill if things keep progressing this way. 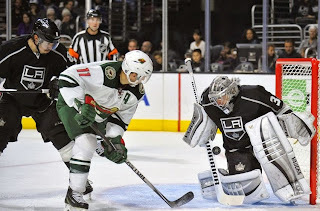 Los Angeles Kings vs. Minnesota Wild - Los Angeles shocked many by pushing past the Predators in six games, but will now be up against a playoff regular in Minnesota. The Kings continue to bank on Sergei Bobrovsky in net, but Mikko Koivu upfront rattled off eight points to lead the first round charge. 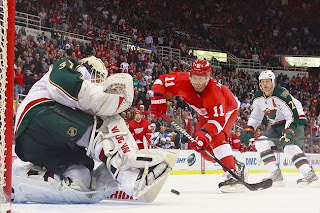 For the Wild, Thomas Vanek proved why he was so heavily sought in the off-season, posting five goals and nine points in six games in the opening round. He wasn't the only one however as three players posted at least a point per game and the Wild nearly completed a first round sweep, only dropping two games in overtime to the Blackhawks. 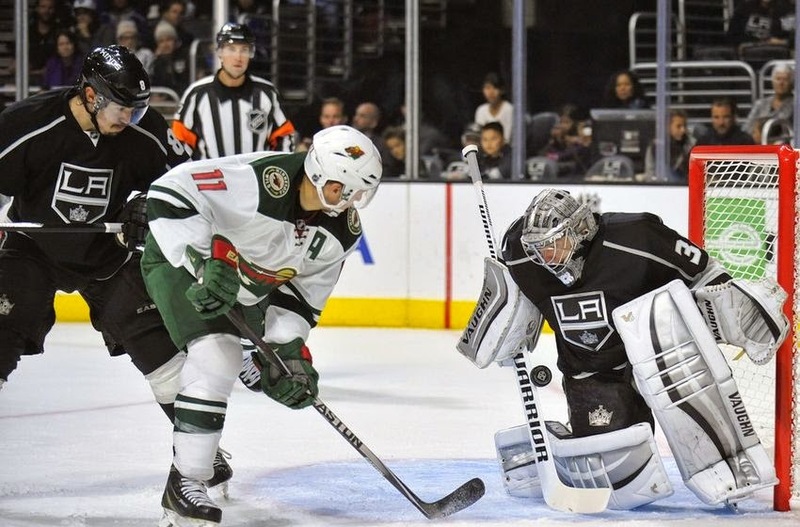 Expect Los Angeles to put up a strong fight, but you can expect the Wild to be moving on up. Minnesota in six games. Calgary Flames vs. Arizona Coyotes- The Flames for once look to be shaking off the post-season rust that has plagued them for most seasons since winning the WCHL Cup way back in Season 11. Often the upset team, the Flames pulled off a mini-upset of their own, knocking off the defending Western Conference champion and cross-provincial rival Edmonton Oilers in six games. Jamie Benn led the charge again, posting five goals in six games, but it might be a goaltending controversy that is the talk of the time in Calgary, with backup Tomas Vokoun going 2-0 with a .977 save percentage to swing the series in Calgary's favor. Arizona meanwhile comes in as the underdog but that's perfectly fine for them. Ask Anaheim, who they knocked off in seven games in the first round despite the fact Anaheim earned 29 more points in the regular season. Thank Marian Gaborik, who amassed 11 points in the opening round, including a whopping 10 assists. Radim Vrbata and Chris Higgins meanwhile picked up four goals each for the Yotes. While Arizona won't go down easy, they will go down eventually. Expect it to be this round. Calgary in five games. 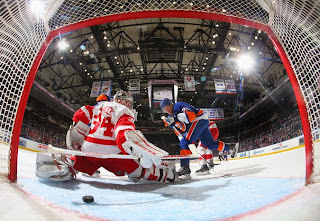 New York Islanders vs. Detroit Red Wings- In a battle of teams with three word names, the Islanders come in thumping their chests, having bested the defending cup champs in the opening round, ensuring for the first time in six seasons that there is no chance of a team posting back-to-back cup titles. A tip of the cap to Carey Price in accomplishing that, as a .930 save percentage was a big factor in that victory. Detroit meanwhile continues their Cinderella run, going from dead last in the standings last year to a playoff berth and a first round win over the Boston Bruins. Karri Ramo and his .937 save percentage was a big factor in that victory, and he'll need to continue posting numbers at least that good to overcome an Islanders team that has long been full of talent but rarely posted the results to back it up. Detroit could win if they win the goaltending battle but all Carey Price needs to do is keep it close and the Islanders offense should do the rest. He will and they will. New York Islanders in six games. New York Rangers vs. Columbus Blue Jackets- The Rangers appear to be in playoff form once again, and were the only team to win their first round series in under six games. That extra few days of rest will only benefit a Rangers squad which has played a lot of playoff hockey over the past several years. Columbus is still riding the high of defeating the Washington Capitals in a seven game shocker in round one and that momentum will likely carry over a bit into round two. The club has been rolling along for a while now, they won't be an easy defeat for anyone. Seymon Varlamnov and his .925 save percentage attests to that. 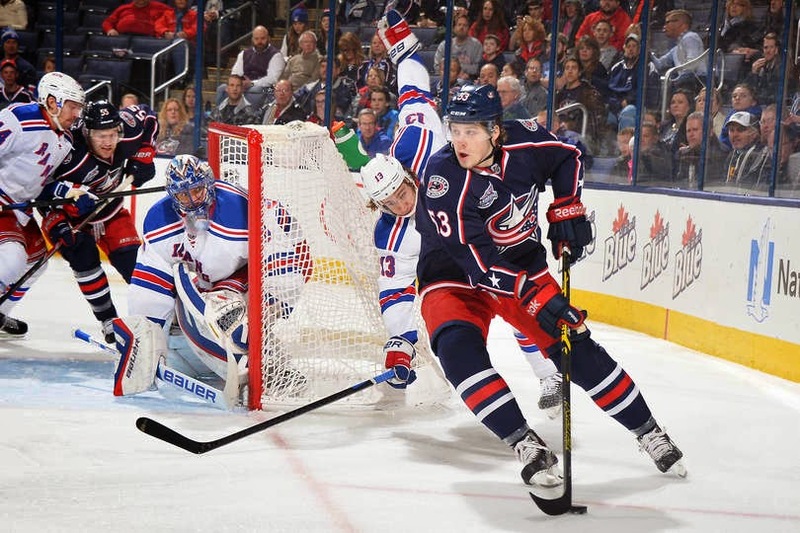 Columbus will likely get ahead early, but the Rangers will eventually prove to be to much for the Blue Jackets. New York Rangers in five games. For the 20th time, we are ready to do battle for the WCHL Cup. A benchmark few leagues ever reach, the WCHL is still going strong into season 20 and for the first time in nine seasons, it is a Canadian club trying to defend their title. Defending the title has been easy it would appear in recent seasons, as the past three teams prior to Ottawa to win the cup would go on and defend their title the following season. Can Ottawa extend the streak? Possibly, the club had another strong season and is as good of a contestant as any, but there is always a strong field of teams eyeing an opportunity to knock off the champs. Here's a look at round one of the WCHL playoffs. (1) Anaheim Ducks vs. (8) Arizona Coyotes – The Ducks roll in having earned two cups in the last three years and are the President's Trophy winner in the regular season. The club is dead from top to bottom and still has several youngsters coming up through the system. They could be unstoppable until the third round at a minimum. Arizona meanwhile has the worst winning percentage of any team in the playoffs and are the lone club with a losing record in games decided in regulation. Unless they have an unbelieveable run from netminder Anton Khudobin, expect this one to be over soon. Arizona could make it interesting if they get ahead early but they likely won't. Anaheim in four games. 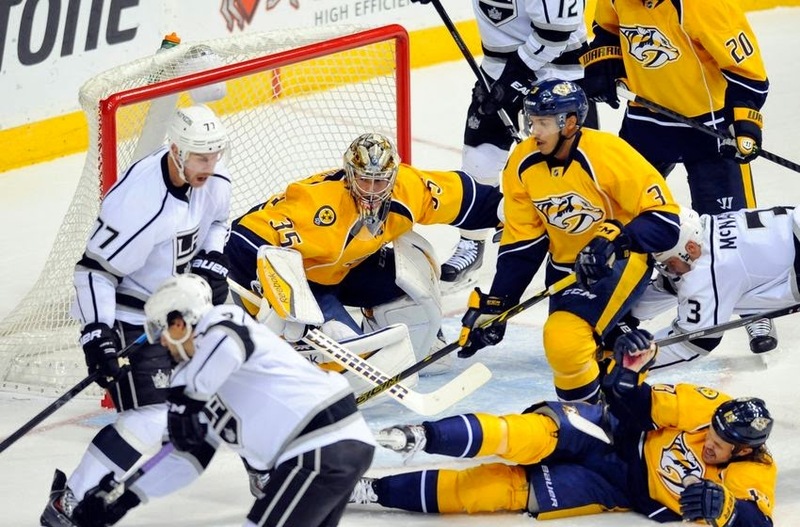 (2) Nashville Predators vs. (7) Los Angeles Kings – After a year out of the playoffs, Nashville reemerged with a vengeance, nearly claiming the league's regular season crown in the process with a 55 win season. The club is backed by the always great Jonathan Quick and many of their mid-season aquistions have paid off, adding depth to a skilled team. Los Angeles won't be a push over though. While seeded seventh, the Kings still managed the sixth highest point total in the Western Conference and topped the 100-point plateau. Sergei Bobrovsky posted a 45 win season and James Neal will give Nashville all they can handle. This series will be closer than the seeding indicates, but Nashville should still prevail. Nashville in six games. 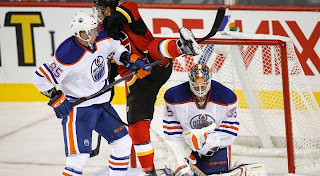 (3) Calgary Flames vs. (4) Edmonton Oilers – A classic first round battle of Alberta adds an extra layer of spice to a first round sure to have a few surprises. The Oilers made it all the way to the WCHL Cup finals last year and after a strong season once again, they are eyeing a return trip to the ultimate dance. The Flames however actually hold home ice advantage and after not even making the playoffs last season are determined to show they still have legitimate cup aspirations. Since winning the cup in Season 11 the Flames have faced more playoff flops than successes, and a long playoff run this year would do the fanbase and General Manager Lawson Cham wonders. It'll be a tight series, the battle of Alberta always is, but it'll be more of the same for both teams. Edmonton in seven games. 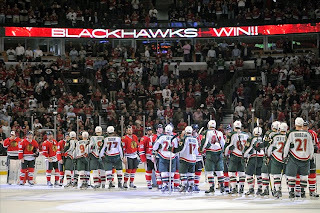 (5) Chicago vs. (6) Minnesota Wild – Any other season this series wouldn't happen until the second round at the earliest and both clubs would be starting on the road, but due to the new playoff format a pair of lower seeds match up in round one. Chicago reached 100 points on the final day of the season and are led by the inspirational story of Mike Santorelli, the one time scrap heap reclamation project that bammed off a 45 goal, 108 point season. Having Jaroslav Halak in net doesn't hurt either. Minnesota meanwhile is the more balanced club, and mid-season pickups Jussi Jokinen and Milan Michalek helped boost the teams chances. The real question is whether or not playoff flop Antti Niemi will rise to the challenge this year. This should be another seven game series and could come down to a fluke goal. Flip a coin on the winner. Chicago in seven games. 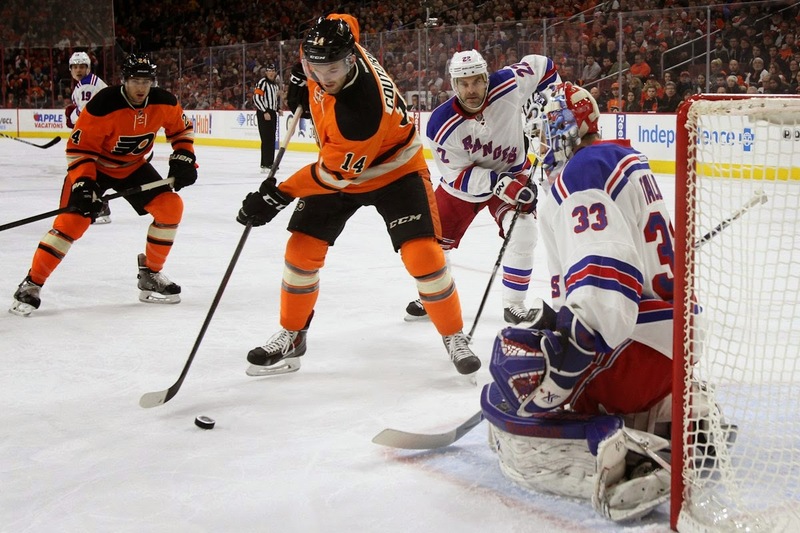 (1) New York Rangers vs. (8) Philadelphia Flyers – The Rangers continue to rule the roost in the East, winning yet again another conference title. The club also has had numerous lengthy playoff runs and the stars are certainly aligning for that to happen again this post-season. The Flyers, once a mini-powerhouse themselves in the East, have lately been reduced to being a bubble team, making the playoffs one year, missing the next. This is a season where they got in, doing so on the final day of the season after Pittsburgh and New Jersey lost. Their reward isn't a good one, facing the Rangers in round one. The Flyers have a balanced team and could surprise, but the Rangers rarely get surprised in the playoffs. New York Rangers in five games. (2) Ottawa Senators vs. (7) New York Islanders – At first glance this seems like an easy one to decifer; the defending cup champs battle an Islanders squad which hasn't even mad ethe playoffs the last two seasons. But looking at it like that would be to easy. The Islanders, a perennial under-achiever the past several seasons, finished only 10 points behind the Senators in the regular season and have the likes of Carey Price, Niklas Backstrom and Phil Kessel in their arsenal. It won't be a cakewalk, that's for sure. If you are looking for an upset, this could be it. New York Islanders in six games. (3) Columbus Blue Jackets vs. (4) Washington Capitals – The Blue Jackets have been without a General Manager all season and that's been just fine for them. Not only are they in the playoffs, they are holding down home ice advantage as well. Thank you, Semyon Varlamnov. Washington however is ready to finally get on a roll, something that's been hard to do in the playoffs for this talented team. Lacking a true star –though Vladmir Tarasenko is rapidly erasing that issue- the Capitals get it done by committee, something that will have to continue for them to advance. The Capitals should move on, but it won't be easy. Washington in six games. 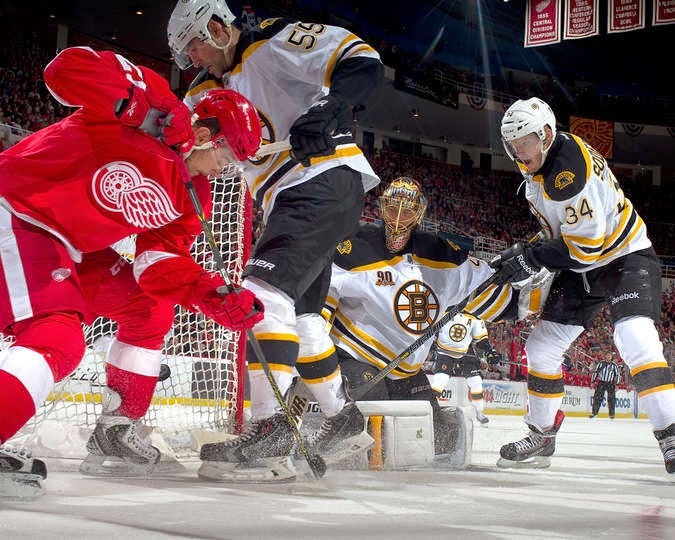 (5) Boston Bruins vs. (6) Detroit Red Wings – Another series featuring two teams that wouldn't have home ice advantage in previous years, this round also features two teams that didn't make the playoffs last year. For Detroit, they finished with the league's worst record last year, but a 28 point improvement let them just edge into the playoffs. Some surprising performances, including a 30 goal season from Zack Boychuk and a 71 point season from the ageless Jaromir Jagr, has the Wings searching for the glory years they had a decade ago. Boston meanwhile is trying to rely on Ryan Miller in net to get them through the post-season. The netminder started all 82 games for the club, which lacks a supporting cast behind forwards like Vincent Lecavalier, Nazem Kadri, Alexander Semin and Maxim Afinogenov, who is in his final season in Boston. Another close one, but the Wings season to soar isn't over yet. Detroit in six games. The Wings were visiting Edmonton a day after dropping a 2-1 decision to the Sabres at home which snapped Detroit's four game win streak. The Oil were 8-1 in their past nine games overall and were looking to win their third straight game Saturday. Detroit got the first powerplay of the game at 5:01 of the first as the Oilers' Matt Hendricks was sent off for hooking. It didn't take the Redwings long to convert as winger Zach Boychuk scored at 5:29 as he took a Cody Eakin pass in the slot and snapped a shot through Ilya Bryzgalov's pads. It was the Oilers who led in shots 15-9 after twenty minutes. Edmonton struck quickly to start the second when Brooks Laich grabbed a rebound off of Kari Ramo after the tender stopped a blast from Riley Wetmore and hammered it into the back of the Wings net. The goal came at 0:33. Edmonton increased their shot total to 27-19 after 40. 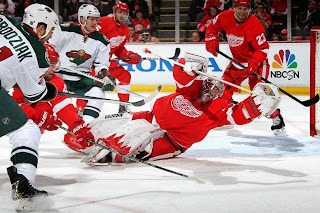 The Redwings regained the lead when rookie Colton Sceviour scored his 14th of the season at 1:30 of the third when the rookie picked up a rebound off the boards and slapped it into the top corner over Bryzgalov's shoulder. The goal originally went for a video review, the Oilers claiming tender interference but after the review it was deemed a good goal. Craig Smith got the Oilers back on even terms at 11:17 as he wristed a shot through a screen in front of Kari Ramo and the puck found it's way past Ramo. The Oilers got the go ahead goal, which turned out to be the winner from Alex Chiasson at 16:27. Again Ramo stopped the original shot but the defense failed to clear the puck and Chiasson converted on his own rebound. 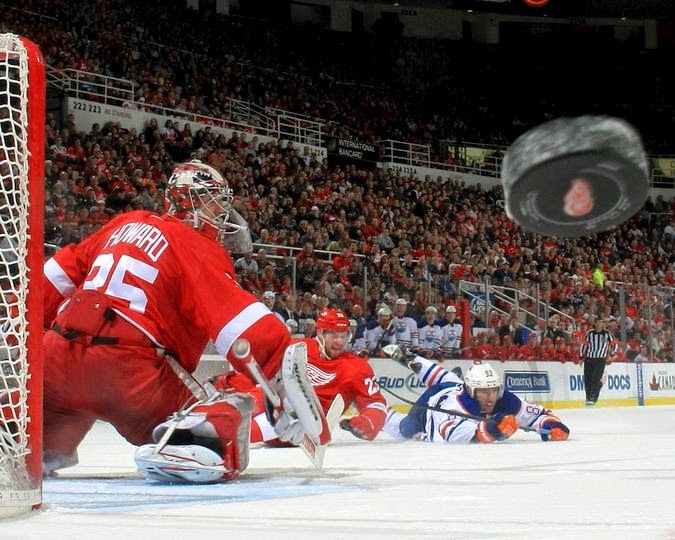 The Oilers out-shot the Wings 39-26 in the game. Ilya Bryzgalov won for the 43rd time this season, putting him 5th in the league standings. The Red Wings came into Tampa on a three game losing streak and were desperate for two points if they hoped to keep distance between themselves and the Boston Bruins in the standings. Tampa was just hoping to build on next year by giving everything they had to finish this season respectfully. The first period ended scoreless with each team with nine shots on net. Tampa would open the games scoring as Martin Hanzal scored his 20th of the season at 9:14 when he grabbed a rebound of a Brian Boyle shot after Kari Ramo stopped two previous shots. Anton Volchenkov tied the game up for Detroit at 13:24 as Steve Mason made the original save but unintentionally kicked the puck straight out into the slot where Volchenkov wristed it home for his second of the season. Tampa led the shots on net after forty minutes 24-19. Cody Eakin put the 'Wings up for good at 8:34 of the third when Eakin slapped home a loose puck in a goal mouth scramble after Mike Weber was absolutely stoned by Steve Mason. The Flyers played host to the Blue Jackets on Saturday Night at Wachovia Center, where the Flyers have not been great as of late going 4-5-0-1 in their last ten on home ice and Philly would suffer yet another loss on home ice against the 'Jackets. Mike Richards opened the scoring for the visitors at 12:52 as he picked up a rebound off of a Marc Methot slapper and snapped it into the open side before Philly's Corey Crawford could get to it. Matt Cooke doubled Columbus' lead just before the end of the period (19:26) as Eric Nystrom hit him on the fly with a perfect pass down the wing and Cooke drilled the puck over Crawford's out-stretched glove. The Flyers led the shot clock 9-6 after twenty minutes. In the second period the hole for the Flyers got even deeper at 11:56 as Chris Kunitz was sent in all alone on Crawford by Methot and snapped the puck five hole. The 'Jackets peepered the Flyers' net with seventeen shots in the middle frame and Crawford made several outstanding stops to keep his team from being blown out of their own rink. Captain Ryan Getzlaf scored at 7:28 of the third to cut the deficit to two as Semyon Varlamov kicked out a Karl Alzner slapper right onto the stick of Getzlaf and the Flyers went backhand, forehand on the Jacket tender before stuffing the puck under Varlamov. That was as close Philadelphia would get as their most recent losing streak reaches two. 1 - Semyon Varlamov (Clb)........ made 34 saves to win his 37th game of the year. 2 - Mike Richards (Clb)........... scored once and added an assist, had three shots on net. 3 - Chris Kunitz (Clb)............. had one goal on four shots and added two great open ice hits. The Avalanche went into Winnipeg in hopes of building on their modest one game win streak after snapping a three game slide versus the Panthers two nights prior. The suddenly surging Jets, winners of seven of their last eight games are trying to keep their ship in the air and keep their place in the play-off derby. Winnipeg's Patrik Elias opened the scoring for the home side at 4:00 of the first on the powerplay as he had three chances in front of Jonathan Bernier before burying the last one at the side of the net, Alexander Steen picked up the only assist on the goal. David Desharnais tied it with his 11th of the year at 7:54, also with the extra man as he finished up a sweet three way passing play on the rush with assists going to Patrick Sharp and Marian Hossa. The first ended with the Avs out-shooting Winnipeg 13-7. T.J Oshie scored twice for Colorado in eight seconds to open the second period. On the first goal (0:12) Oshie grabbed a David Krejci rebound after Jets' tender Jonas Gustavsson kicked it out and roofed it over the goalie's right shoulder. Soon after, Jay Harrison took an ill-advised hooking penalty putting the Avs back on the powerplay. On the ensuing face-off, Krejci won the draw and found Oshie in the slot and the winger made no mistake, firing it low stick on Gustavsson at the twenty second mark, prompting coach Dave Lewis to call a time-out and motion toward Pekke Rinne who replaced Gustavsson in net. The move seemed to re-fuel the Jets as they would rattle off three goals in just over eight minutes to take a 4-3 lead before the period was eleven minutes old. Patrik Elias (2:11) scored his second of the night as he came off the boards gathered up a juicy rebound and tucked it five hole on Bernier. Cal Clutterbuck tied the game at 6:18 as he raced across the Avs blue-line and hammered home his 7th of the year, again beating Bernier through the wickets. At 8:35 the Jets looked to have gone up by a goal by Alexander Steen but it was ruled after review that the net had been dislodged from the pegs prior to the puck entering the net. Colorado's Oshie was whistled for roughing at 8:31 of the second, sending the Jets powerplay back to work and with just four seconds remaining (10:27) Elias would complete his hat-trick when Lee Stempniak spotted Elias leaving the penalty box and hit him mid-stride with a gorgeous pass and Elias snapped a shot over the blocker hand of Bernier. The Jets out shot Colorado 12-10 in the second. In the third Winnipeg's Colin Fraser scored his second of the year at 6:37 to give the Jet's their first two goal lead of the match as the third line of Fraser, Clutterbuck and Derek Dorsett had the Avs pend in their end for over a minute and finally created a turn over that Fraser finally capitalized on, sliding the puck between the post and pad on Bernier. The Avs coach John Tortorella elected to call his time out, also sending Tim Thomas to replace Bernier in the net. Thomas stopped all five shots he faced in the game but the Avs fell to the Jets. Going into Saturday night both team were fighting for the last playoff spot in the East, so this was one of those perverbial three point games. The Devils were just hoping to put a stop to there seven game slide and the Sabres losers of three of their last four were just trying to stay in the race. The Devils' powerplay was on fire Saturday night as they struck four times against the Sabres. Pavel Datsyuk put New Jersey on the board at 7:45 with Sabre David Backes in the box for slashing. Datsyuk won the ensuing face-off over to Valtteri Filppula, his shot went wide and Datsyuk was the first to the puck as it came off the boards, snapping it high glove on Jussi Rynnas. Ryan Suter doubled the Devils' lead at 13:09 when again his team on the powerplay, he snapped a seeing eye shot through the pads of Rynnas, Dan Cleary and David Bolland were credited with assists on the play. The Devils were all over the Sabres in the opening twenty as the shots would suggest, 16-2 Devils. The Sabres responded in the second period as Joe Pavelski scored his 25th of the season at 16:42 as he would pick up a Ed Jovonovski shot that was blocked by Devil James Wisniewski and snapping it over the shoulder of Ben Bishop, tending net for New Jersey. The Devils held a huge lead in shots through forty minutes at 26-11 but only led by one thanks to some superb goaltending by Sabre Jussi Rynnas. The Devils' were back on the powerplay in the third when Pavel Datsyuk struck for his second of the night at 6:58 as defenseman Sergei Gonchar looked on helplessly. Datsyuk won his face-off cleanly from Joe Pavelski and simply snapped the puck past Rynnas from inside the circle. The Sabres again made it a one goal game on their own powerplay tally at 12:37, with David Perron sitting for hooking, David Backes gathered up a loose puck in the slot after Suter blocked the original but couldn't get to his feet to cover Backes as he snapped the puck past the out-stretched skate of Bishop. Pavel Datsyuk completed his hat-trick at 15:18 of the third when the Devils' converted their fourth powerplay goal of the night. 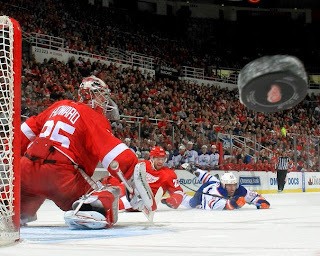 Joe Pavelski was again victimized in the face-off circle as Filppula beat him and dished the puck to Datsyuk who released his signature snap shot which beat Rynnas' glove hand into the top left corner of the goal. The final shots in the game were 36-25 New Jersey. Ben Bishop stopped 23 shots for his 23rd win of the season. The Sharks visited Long Island in hopes of getting back into the playoff picture, presently sitting on the outside looking in as they are three points behind the eighth seeded Oilers but Edmonton has five more wins to their credit. The Isles come into Saturday night's tilt losers of their last five and presently reside in fifth in the Eastern Conference. 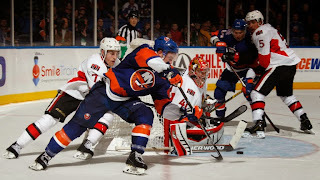 The first period was pretty much uneventful as there was no scoring and just a single penalty, a roughing minor given to Isles Erik Johnson, which was killed off successfully. 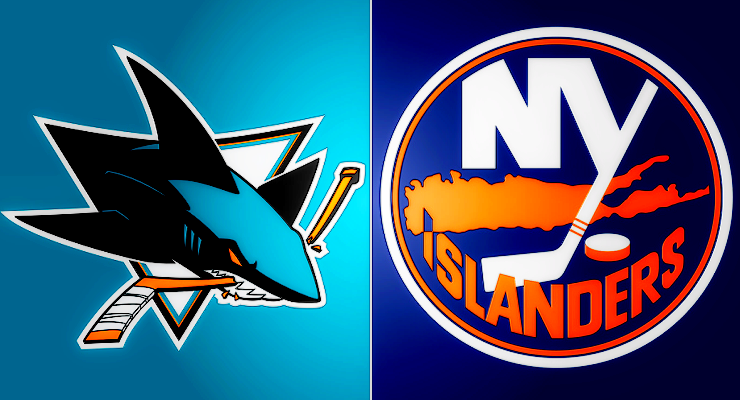 Long Island out-shot the Sharks 11-5 in the first. In the second period, Johnson got redemption for his earlier penalty by opening the scoring at 11:42 of the second on a slapshot from between the face-off circles. Dustin Tokarski made an amazing save on the original shot by Phil Kessel that was re-directed at the top of the crease by Ryan O'Neil but kicked the puck straight out into the slot and Johnson easily hit the open cage. The Islanders held the edge on shots after forty, 25-16. In the third the two teams played a very tight defensive game thus limiting the shots on net (8-6 San Jose). The teams played as if afraid to open things up, fearing that could possibly open the flood gates. Everything didn't go exactly as planned for the Isles even as they wrapped up the two points, they lost Michael Raffl to injury at 9:06 of the third to what is being called by the medical staff, a lower body injury, but reports are that it is an abdominal strain and Raffl could be lost to the team for atleast three weeks. Evgeni Malkin may want to talk to his stick manufacturer after he gets back to San Jose as he was held scoreless after having a game's high seven shots on net and was stopped on each attempt. 1 - Carey Price (NYI)........ Carey Price stopped 26 shots for his third shut-out of the season. 2 - Dustin Tokarski (San).... Back-up Dustin Tokarski stopped 30 of 31 shots in a losing cause. Tokarski was listed day-to-day after the game the team citing exhaustion.